Exciting Zipping Offers at Neemrana Await You! Check Out What Flying Fox Has In Store For All You Thrillists! Tired of brainstorming about your December plans? Flying Fox is ready to come swoop in with a mind-bogglingly awesome experience. And of course, to make the last month of 2016 a memorable one for you! 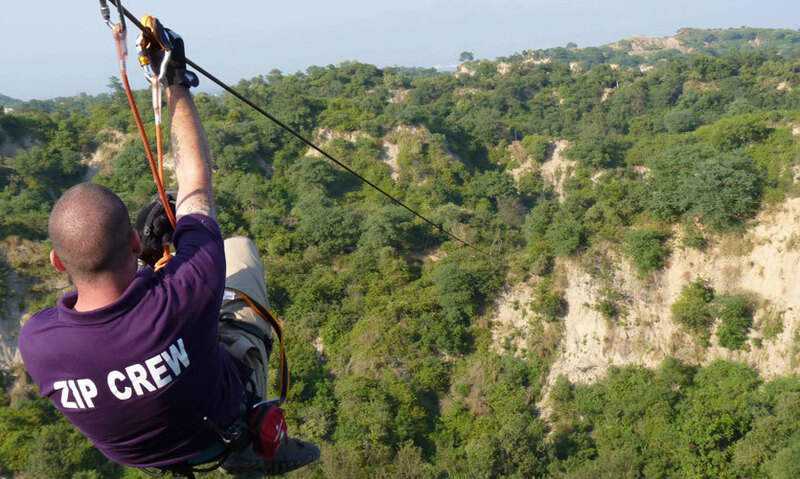 Flying Fox, the king of ziplining and the first zip tour company in India (ever! ), is going to thrill you to the bones *flutters in our tummy*! There is a happy service going on at Neemrana Fort Palace where you get 5 zips at the world’s first heritage zip line tour that offers aerial views of - get this - the Aravalis, how cool is that! No, not all adventures cost you a fortune! Flying Fox dishes out some crazy deals and we couldn’t be happier. So if you book your experience online at Flying Fox’s website, you’ll be able to cash in on lower rates as compared to offline bookings, which is handy as you’ll find booking windows on each page of their website. Between their 4 iconic zip tour locations they&apos;ve reached 1,00,000 happy zippers! To celebrate,over the next few months, they&apos;re going to be giving away over 1 lakh rupees of surprise discounts (wow). So take your families and enjoy the thrilling ride! Just strap in, clip on and fly the Fox! Don’t forget to carry your ID proofs along! P.S. Use Code SODEL16 for 10% off at all sites!